The key to writing really well is to right really great content. Are you a perfectionist who thinks that their writing just isn't hitting the mark? That one day you'll wake up and all of your writing ideas will disappear? These are fears all writers have. 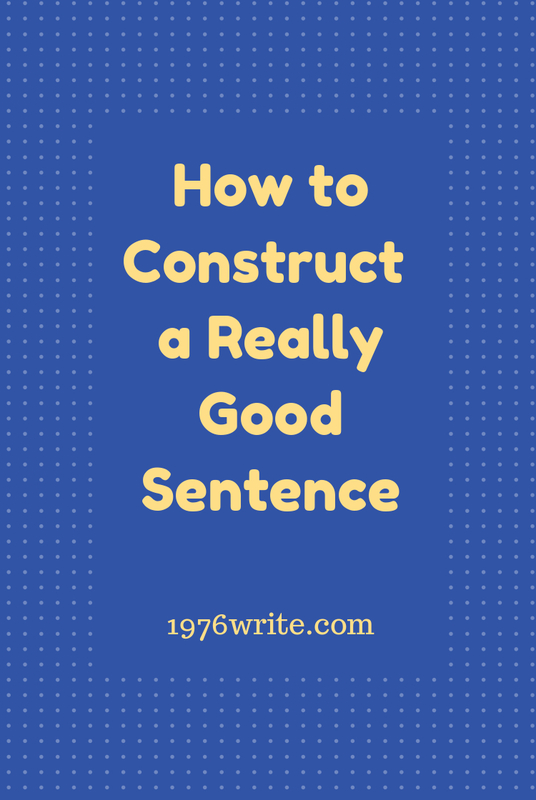 It doesn't matter what kind of writing you do, you still need to create great sentences to make great content. You can't write a good book without writing a really good sentences, and this goes for any blog or other publication you may be producing. Your words are the building blocks to the message you want to share with your readers. Being able to write really great sentences comes from what you learned at school, and the experience you pick up on as you go along. Some of the school stuff you may have forgotten about, but it's all just locked away in your memory banks ready to be drawn on. 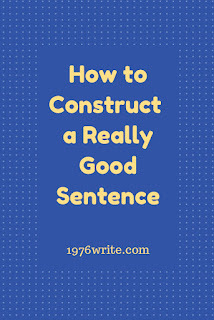 Good sentences should carry weight and keep the reader's curiosity, and also act as a link to the next one. Grammar, a grammatical unit of one or more words that expresses an independent statement, question, request, command, exclamation etc. Usually sentences include the subject (person or thing being described) and a verb (action being done). This may also consist of a direct object (a secondary person or thing that the action is happening to). To keep things simple we're going to describe a sentence as a group of words that have meaning. Which means 'To be, or not to be: that is the question?' is a sentence and so is 'Huh?'. A quick recap: Words that can be brought together and united to make sense, can tell a story or give useful information. Don't get too tangled up in the grammar rules, think about what they do. You need to start taking notes from the greats like Mark Twain, Jane Austen, Charles Dickens, T.S. Eliot. Let's look at how you can get the attention of your readers and give them what they really want to read. Really good sentences will awaken your emotions and pack a real emotional punch with every word. If you can evoke a particular feeling in your reader then you can give them a real emotional jolt. Don't go overboard with this particular sentence technique otherwise it'll look a little silly. You need to season your writing lightly, by giving your post titles and subheadings a bit more flavour. Example: Karen ate the dark chocolate. Using the passive voice, the sentence feels really out of place because the passive voice twists everything around. Example: The dark chocolate was eaten by Karen. Technically the passive voice isn't wrong, it just doesn't do the job properly. There may times when the passive voice is called for, just remember to use it very sparingly. You can use rich and colourful descriptions to really lighten up a sentence. This builds a picture in your readers minds eye. You can be as specific as you want when it comes to description. When describing a terrifying scene tell the reader about how bad your character is feeling and what he is seeing as the evening unfolds. You need to conjure up a picture and release it on your reader. Keep your sentences to no longer than 14 words maximum, a bit shorter than that is better, it makes them easier to read. Keep to the point of what your saying and try not to stray too far away from your point. Otherwise you'll bore your audience to tears.